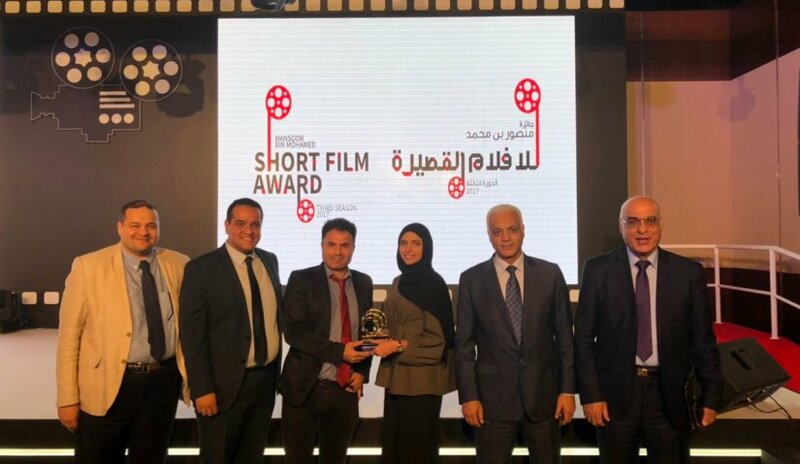 Student Nuha Mohammad Saeed from the College of Mass Communication at Al Falah University won in the recently concluded Sheikh Mansoor Bin Mohammed Short Film Award. Under the supervision of Assistant Professor Dr. Robin Kabha, Ms. Saeed’s film “Because I am Human” placed third in the Volunteer Culture category. Supervised by the Society Development Society, the Mansoor Bin Mohammed Award is one of the most important awards-giving body in the category of short films. This year’s competition included several important themes that focused on the values important to the late Sheikh Zayed Bin Sultan. The value of volunteering is the main focus of the competition. The Mansour Bin Mohammed Award is one of the most important and pioneering awards in the field of short films, which is supervised by the Society Development Society. This year's competition included several important community themes that focus on the values broadcast by the late Sheikh Zayed Bin Sultan in the Arab society and the United Arab Emirates. The value of "volunteering" is the main focus of the competition. The judging panel was led by Masood Ammarullah, Dubai Film Festival Director.